Small improvements to your website can make the difference between a potential construction client contacting you or clicking away. By A/B testing your website updates, you’ll see what changes are bringing good results so you can capitalize on them even more. 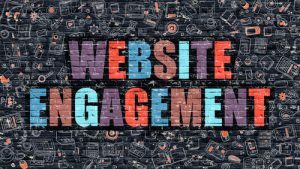 The goal of any website update is to improve your metrics, whether that means lowering your bounce rate (the rate of visitors who view one page, then leave), encouraging more visitor engagement or increasing leads. Especially if you’ve paid a professional designer, it’s easy to assume any changes are for the better. That’s not always the case, though. An A/B test shows you which updates are helping and which aren’t. A major change in layout might end up confusing your visitors. If they can’t find the content they want quickly, you’ll get fewer leads. Updates that are good for aesthetics aren’t always good for business. Considering how important eye-catching images are on a construction website, you might think a slick-looking image carousel or hero image of a recent building project could only help. If you find these features increase your bounce rate, though, you’ll know to look for something more engaging for your homepage. Even if you know which recent updates have improved your website metrics, it’s helpful to have some hard data on those improvements. 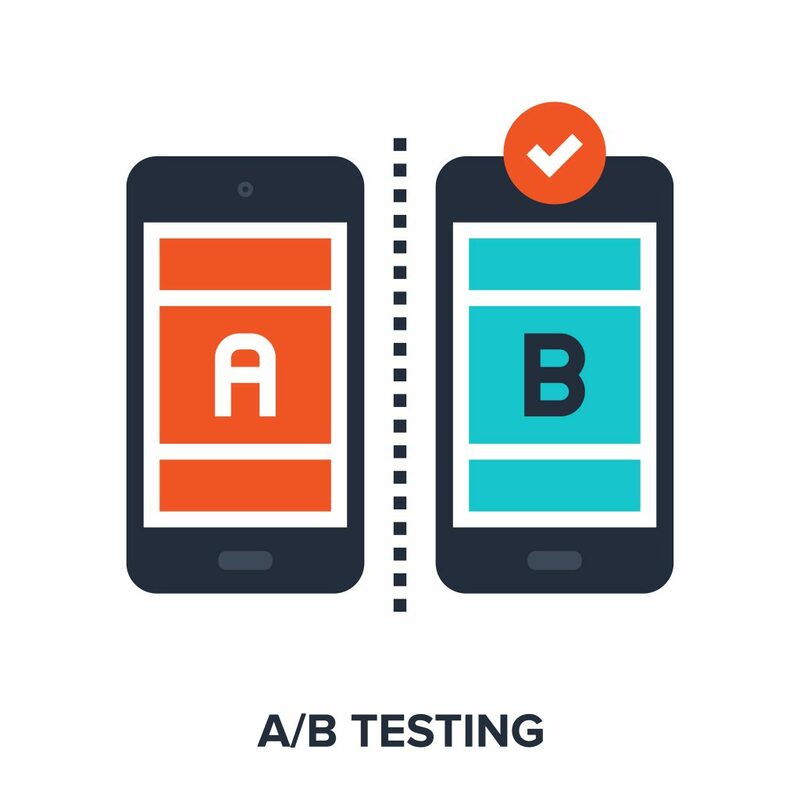 A/B tests let you collect data on both the old and the updated version of each part of your website. If you spot a change that’s getting especially good results, you’ll know where to focus your efforts. Maybe your new homepage features a downloadable case study on your recent multi-story car park project and you find it’s bringing you a lot more leads. You might want to make that case study even more prominent on your homepage or try out other types of lead magnets. A guide on budgeting a commercial construction project might bring more leads still. A website heat map is one of the most effective tools for using your visitors’ actions to better understand what they’re looking for in a construction firm. By presenting data in a simple, visual way, heat maps show you what’s attracting your would-be clients. Learn what grabs their attention – Mouse-movement heat maps, also called hover or attention maps, tell you about what catches your visitors’ eye when they first arrive. If they go back and forth between two links, you might need to reword those links for clarity. If they tend to wander around the page, consider a redesign to help them find what they want fast before they give up. See where their true interests lie – Click maps shows you where your visitors ultimately decide to go, helping you better understand their goals. If far more visitors click your “renovations” link than your “new construction” link, maybe it’s worth re-targeting your site for renovations clients. If you want visitors to check out your portfolio first, but they tend to head for your community involvement links, you’ll know to make your portfolio link more prominent. Assess their attention spans – With a scroll map, you can see how far visitors scroll down different webpages. If they’re scrolling to the end of your blog posts on budgeting residential property development projects, but barely reading any of your industry news posts, that tells you about their interests. If they’re not making it past a few paragraphs on any page, why? Do you need more engaging introductions, better formatting, catchier subtitles or more images? Target your most valuable audience – Heat maps show you which behavior patterns convert best so you can optimize your site for visitors who fit that profile. Maybe the visitors who click over to your blog first and read several posts to the end are the ones who typically become clients. On the other hand, maybe it’s the ones who spend a little time on your portfolio, then head straight for your contact page. 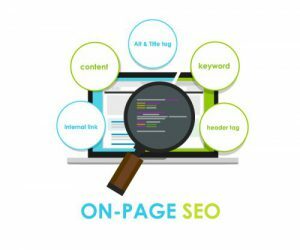 What Does On-Page SEO Mean Anyway? Good on-page SEO is critical for helping your potential clients find you online, but to do it well, you need to know what you should be aiming for in the first place. Understanding how on-page SEO works will help you decide where to invest your efforts. On-page search engine optimization, or on-page SEO, refers to changes you can make directly to a webpage to improve its search engine ranking. 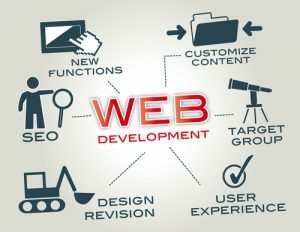 It includes factors such as proper use of keywords, correct formatting, and well-written code. This is in contrast to off-page SEO, which covers backlinks, social signals, and other factors not on your own website. On-page improvements come first because it’s hard to get off-site attention to a mediocre page. In the construction field, clients demand expertise and are often looking for specialized skills. The in-depth, easy-to-understand content you develop as part of your SEO strategy helps you show your visitors you have what they want. There are dozens of on-page factors you could optimize, but some give you a bigger payback than others. Quality content – Aim to provide truly valuable content that helps your potential clients plan their construction project. Write in a professional yet conversational style that isn’t weighed down with jargon. Include original images and videos of your building projects with descriptive ALT tags and file names. Link out to other relevant pages on your site as well as to other high-quality websites. Fast loading times – A sluggish site will drag down your search engine rankings. Use a quality web hosting package, optimize your images, and fix any broken links. Pay special attention to optimizing the images in your project portfolio. Clean code helps, too, so talk with your designer. Posted on November 15, 2018 November 13, 2018 Author David MineerCategories NewsTags search engine optimization, seo, website optimizationLeave a comment on What Does On-Page SEO Mean Anyway? 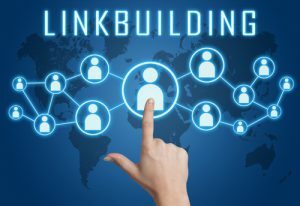 Search engine optimization has changed a lot in just the last 10 years, and if your construction company hasn’t kept up, you’re losing business. Stay ahead of the curve, though, and you’ll win the clients your competition is leaving behind. In the past, posting short, computer-generated articles stuffed with keywords was often enough to get you ranked for moderately competitive search terms. Now, search engine algorithms place a much higher emphasis on in-depth, media-rich content that offers real benefits. As a professional with comprehensive knowledge in your field, this is your chance to shine. If you specialize in higher education facilities construction, chances are you have enough expertise to create a long-form blog post on upgrading multipurpose buildings complete with photos and videos from your own projects and even an infographic. Then you can write related supporting pages to further boost that blog post’s SEO. Less accomplished construction companies just can’t compete with that. If your website isn’t representing your construction company well or pulling in leads effectively, it’s time to change things up. While there are situations in which a simple update is enough, other times you’ll get better results from a full redesign. A complete website redesign involves updating both the look of the site and its underlying information architecture. You’ll get a site that’s more attractive to your target audience and easier for them to understand and use. If you started as a small home renovation company, but you’ve been expanding into multifamily housing, a redesign can help you better target your new ideal clients. 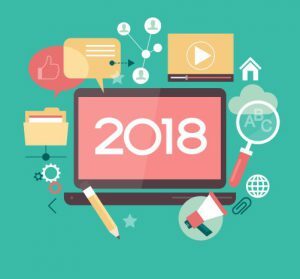 It looks outdated – Design trends are constantly changing and a website that looks five years out of date can give your visitors the impression your whole company is behind the times. It’s not easy to use – If your site is confusing and difficult to navigate, isn’t usable on mobile devices or takes more than two seconds to load, it’s turning away potential prospects and should be reworked. It’s not working for you – A site that isn’t coordinated with your current business goals, ranks poorly in the search engines or fails to bring new leads is a good candidate for a redesign. If your site works correctly on both desktop and mobile and fits with your current business goals, consider a basic design refresh. Maybe you’ve changed your visual branding and need the colors, fonts, and images on your site updated to reflect that. Maybe you could use a new functionality or two. For example, you might add a feed that displays photos of your construction work your clients have posted on Facebook or Instagram using your company’s hashtag. To gather more leads, you might have some of your best content “gated” to require readers to supply an email address for access. Actively hunting down new leads is all part of running a construction firm, but getting warm leads to come to you on their own will make your job a lot easier. 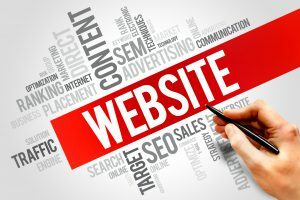 By fine-tuning your website to attract new construction business, you can grow your firm without adding to your marketing workload. Direct Your Traffic – Design your site to guide visitors toward giving you their contact information. Make it easy for them to find essential information, such as your services, portfolio, and the market sectors you specialize in. For each page, consider what your visitor will want to know next and make sure that information and your contact information are easy to find. 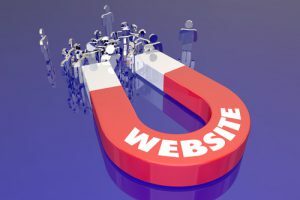 If you’re using a lead magnet, such as a white paper or helpful checklist, to attract new construction business, highlight that content on your homepage, in your sidebar, and at the end of your blog posts. Offer Live Chat – Live chat isn’t just for retail websites. Given all the complexities involved in planning a construction project, your visitors are bound to have questions. If they can’t get answers fast, they might just take the easy route of clicking over to your competitor’s site rather than calling you to ask. With a live chat window, your visitor can get their question answered quickly and you’ll have the valuable opportunity to engage them in a conversation and set up a phone meeting. Introduce Yourself Through Video – Especially if you target business people, such as property developers, some of your visitors will be short on time and not in the mood to read through a bunch of text. A short introductory video helps you reel them in and hold their attention while you give them an overview of what you do and how you stand out from the competition. Video also gives your visitor a chance to hear and see you “in person,” which helps break the ice and encourage them to give you a call. With search engine algorithms and consumers’ search habits continuously evolving, staying on top of the trends is essential for making sure your would-be clients can find you online. 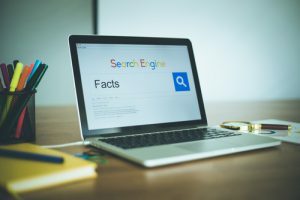 For construction companies, answering questions is still among the most effective SEO strategies, but the methods have changed. Snagging the first position in the search engine results is no longer enough to get your firm’s name noticed. These days, Google’s SERP features such as featured snippets (often called “answer boxes”), local packs, and knowledge panels can grab a searcher’s attention before that searcher even sees your listing. 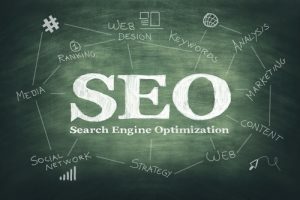 Optimizing your site especially for these features is one of the most effective SEO strategies you can invest your time in. Then use a website analytics tool that provides information on how well your site is performing for these features. A full 20 percent of Google searches are now voice search, according to Google CEO Sundar Pichai, so this isn’t something you can afford to ignore. Just as importantly, almost of quarter of voice searches are for local information. You can get found for more of these by mentioning the cities and neighborhoods where you build, as well as landmarks and well-known public buildings and businesses in these areas. To learn more effective SEO strategies for bringing in construction leads, contact us at Construction Monitor.